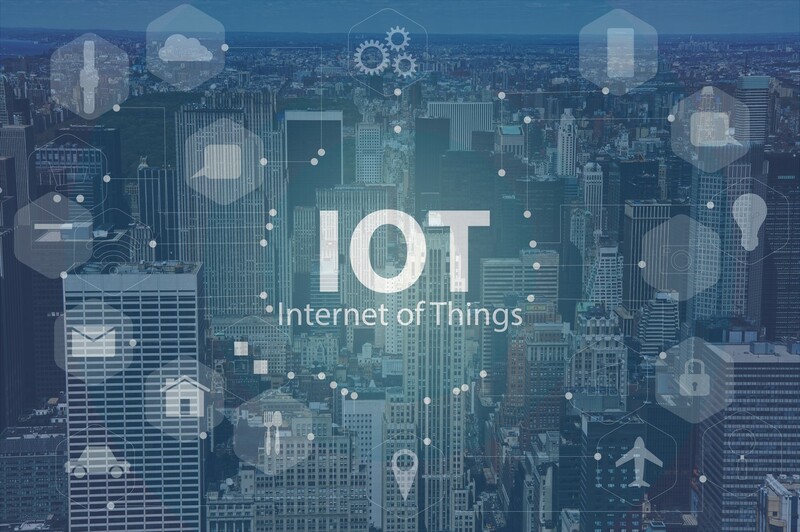 IoT adoption rates are increasing year-over-year as businesses leverage increased connectivity to derive data, increase their analytic prowess, and deliver unique, strategic solutions to their customers. But, as the world of IoT slowly spreads across industries, there's a certain sense of dread for some business owners — what can you actually do with IoT technology? What IoT "provider" should you leverage to deliver IoT solutions? Today, we're going to take a look at some of the opportunities that IoT opens for businesses across the globe. At the same time, we're going to discuss which IoT solutions make sense in the current atmosphere — and why your choice matters. If we were strictly talking cloud deliverables, Google would be in this conversation. But, seeing as how Google was late to introduce edge computing and they currently have the weakest architecture of the three, they aren't stealing significant market share from the two giants anytime soon. Amazon and Microsoft are the two goliaths of the IoT space. Figuring out which one to use can seem difficult at first. Because, honestly, both platforms share more in common than they do in differences. Both of them use a central IoT Hub and offer plenty in the way of package libraries for devices. And, both of them offer similar communication packages, languages, and security features (TLS protocol for both.) But, despite all of these rich shared features, Azure simply outshines AWS in the current IoT ecosystem. 2. Azure has better future proofing. Microsoft seems to be married to the idea of creating one main hub space for all of your IoT, machine learning, cloud, and automation needs. They've built a pretty robust architecture that's deeply rooted in data (Hadoop, Spark, etc.) It's easy to run machine learning protocols via edge directly into your IoT solution. Overall, the entire framework is more robust than AWS's current offering. 3. Azure has superior pipeline capabilities. Azure IoT Hub offers pipeline support out-of-the-box, which gives you access to container support and tons of features that AWS simply doesn't give you access to. You'll have to do plumbing on your end to make the most out of AWS analytics. 4. Azure has better architecture. Let's not forget that Azure lets you gather users from Office, SharePoint, etc. Not to mention, Azure can put apps on the cloud in an instant. Microsoft's new ambitions regarding seamless transitions between project and app types shines with Azure. There are some other more technical points to be made. Azure has a more robust device communication, security, and apps — though we're diving into opinion territory here. In the end, most businesses will likely end up on Azure for their IoT needs. AWS has the lions share of cloud services for the moment, but that's rapidly changing. Partially, that's due to Microsoft's dominance in the IoT space. Now, let's jump into the juicy stuff. How do you actually use Azure — and IoT in general — to growth hack your business? What are other businesses in the space doing? Let's take a look at 3 ways that businesses can (and will) use IoT to disrupt their current practices. When we look at where IoT is currently at, you'll see that retail is reaping the bulk of the benefits of early IoT adopters. Customer experience (as usual) is the first real place that IoT is being put to work. But, these same data garnering abilities that make IoT so strong in the retail space, are the same capabilities that are going to disrupt every other industry. Smart devices are a rich source of data, and finding a way to utilize that data is critical in the coming years. Financial institutions can leverage this data to improve and personalize relationships, optimize capacity management, introduce superior fraud detection, and reduce touchpoints. Healthcare can use IoT to improve workflows, deliver records, and track patient health data. Of course, there are use cases for disruptive tech products and SaaS distribution in the immediate. The possibilities are endless. Gartner predicts that there will be over 20 billion IoT devices by next year, and Cisco estimates that these devices will generate over 500 zettabytes per year. To put this data disruption in simpler terms, we're looking at a brand new "big data." A stronger, more robust version that's ready to dominate industries for years to come. IDC predicts that IoT spending across markets will reach $1.29 trillion by 2020, and GE predicts that IoT will add $15 trillion to the worldwide GDP by 2030. The disruptive nature of IoT isn't only due to its data ingestion and customer experience capabilities; IoT allows industries to source mission-critical information in the blink-of-an-eye. Sensors can be placed throughout businesses (manufacturing lines, production systems, etc.) to source general and granular information instantly. This means that businesses can growth hack their workflow fast, without the need for multiple "people touchpoints." Of course, there's also the ability to "smartify" your business. For example, Harley Davidson installed IoT devices throughout their New York manufacturing plant that measured productivity, and even adjusted temperatures and speeds when necessary. The result? They increased their net margin by 19%! Sensor information is incredibly powerful when its applied to business needs. You can increase operations, manage flow, and reduce frictions rapidly. Ultimately, this leads to better revenue streams for multiple industry channels. This is especially critical for businesses that deal with high-value assets. IoT devices (sensors, monitors, etc.) can track asset locations, monitor asset health, and garner asset data. This means that businesses can quickly react when their assets are in danger or need maintenance, etc. For many businesses that manage assets, downtime can be a revenue killer. IoT promises to reduce downtimes while also improving operational visibility — something that's immediately critical for these types of companies. As we inch our way into the 3rd century of the 2000s, IoT is looking to be the beacon of light at the end of the tunnel. Microsoft has positioned an incredibly powerful IoT solution with Azure, and it's sure to help companies across the world to build scalable, adaptable solutions that they can use to boost revenue and reduce pain-points. The above examples are just a drop in the bucket. There are thousands of different ways that IoT can improve businesses efficiencies, and the future of IoT is brighter than ever.